Unleash your true potential…Enjoy both life and career to the fullest. 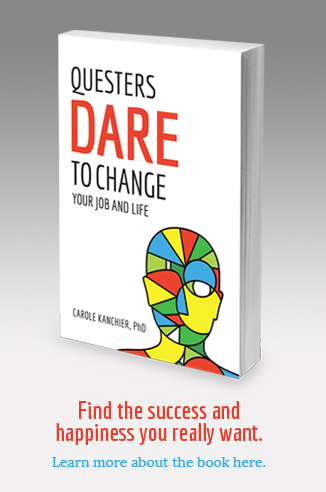 If you are frustrated and overwhelmed at trying to take charge of your life and career, get a copy of Dr. Carole Kanchier’s award winning book, Questers Dare to Change Your Job and Life. It will help you turn your life around.